Are you ready to rock your next yoga retreat? Marketing your yoga retreat on Instagram takes work. Top brands post an average of 5 times each week. What is that magic number for you? Determining a post frequency that works with your schedule and sticking to it will help set the expectations of your audience and holds you accountable. Think of it as setting your social media intentions! Start small and create a basic 3-month content calendar that includes all of your social channels and blogs for a more strategic approach. Establishing a consistent content mix is a must. Within the number of weekly posts you determined above, plan on how many will relate to the yoga retreat while keeping the 80/20 rule of social media posting in mind. 80% of your overall posts should spark engagement, educate and inspire the audience, while the remaining 20% should be promotional. Mix in popular weekly themes such as #ThrowbackThursday or #FlashbackFriday to weave in photos from past retreats and occasionally use the #MondayMotivation or #TravelTuesday-type posts to promote upcoming retreats. Infuse the “International Day of Happiness” or “National Sunglasses Day” (June 27th) type posts into the content mix (a blog tie-in, perhaps?) with fun photos you take yourself. Think: a photo of you doing yoga in a super cute pair of sunglasses on the beach. Don’t be afraid to include user-generated content into the mix, reposting photos from retreat attendees, students or yoga influencers--with a photo credit, of course! Consistent visuals are also important. Using the same filter for each post is a best practice for top brands, and keeps an Instagram feed looking clean. If you’re feeling stale, explore the options of styled stock photography or programs such as Canva to create custom, branded graphics. Instagram photos, stories, and live videos should tell a consistent brand story. When a new visitor comes to your Instagram profile for the first time, what will be their first impression? Think of that first visit to your feed like the curb appeal of a home that a potential buyer visits--will they drive right by or stop for the open house? Also, does the feed tell the story of your brand? Are the images high quality and cropped properly? Consider too that all of the posts dedicated to marketing your upcoming yoga retreat should stick to the same look and tone to tell that story and how it will unfold. Include two consistent calls to action (CTA) when posting to Instagram. One should be a call for engagement, such as: “Double tap if this looks like the perfect spot for Savasana” or “Tag a friend who could use a yoga retreat right about now.” Add emojis in to strengthen the CTA and create a visual cue when appropriate. Also include a CTA for your audience to take action outside of the Instagram profile, such as “Register for our upcoming retreat today--Link in Bio!” and get them over to your website or registration page. When it comes to yoga, tree pose isn’t the only place to grow your branches. If you’ve become too comfortable with your usual hashtag rotation on Instagram, it’s time to analyze what you’ve been doing to see if your hashtag strategy is effective and learn ways to improve how you use them to market your yoga business and retreats. Don’t be afraid to create multiple trees for different purposes, perhaps one for general yoga class marketing, one for retreats, one for teacher trainings, etc. Experiment and have fun, while keeping in mind the ultimate goal is to use popular tags that your target audience is likely to use in a search. Get started by selecting a general search term that describes your business or objective, such as #yogaretreat. Use the “Explore” feature on Instagram by clicking the magnifying glass at the bottom of the screen, then on “Tags,” and enter the keyword into the search box. Voilà! The top of the search results screen will populate with related hashtags, which in this case are #yogaonthebeach, #yogaretreats, #beachyoga, #yogateachertraining, etc. Scroll sideways and choose a few of the most relevant hashtags from that list (or move on if they don’t seem relevant to your audience) and then repeat the process with other search terms until you have a solid list of 11-30. We were always taught to keep our eyes on our own work, but a competitive analysis never hurts when it comes to social media. Take a peek at the hashtags used by competitors, instructors who have held retreats at the same location you’re planning, and industry influencers and determine if the those tags would be helpful for your marketing objectives, or if you’d prefer to differentiate your Instagram hashtag branding. Just as yoga instructors like to experiment with their practice, thinking outside the box when it comes to Instagram content can also be a good exercise. For instance, do you typically posts still photos but no video? Give your feed some movement with animated posts from an app such as Ripl. It offers many free features and also a paid version with more versatility and options for a logo overlay. Here’s an example (and a helpful tip) of a Ripl post I used on my Media Melanie Instagram profile. Here’s an example (and a helpful tip) of a Ripl post I used on my Media Melanie Instagram profile. You can click on the image below. Hyperlapse and Boomerang can also be fun when used in moderation. When Instagram launched in-app analytics, it was one of the best things ever. If for some reason you haven’t yet clicked on the little bar graph icon, please go and do that like right now! Insights give you a peek into your top-performing posts and stories and also audience demographics such as gender breakdown, ages, locations and the average times your followers are on Instagram during a typical day. Keep a close eye on posts with the most engagement. Engagement is everything! Posts with high engagement catch the eye of your audience and spark an action which is ultimately the goal. Use all of these stats to your advantage to determine ideal posting times and which types of content get the most engagement; all of this information can help you plan a more concise Instagram marketing strategy to rock your next yoga retreat. Melanie Merritt (Media Melanie) is a Social Media Consultant, Producer, and Fox Sports Stage Manager based in San Diego, CA. 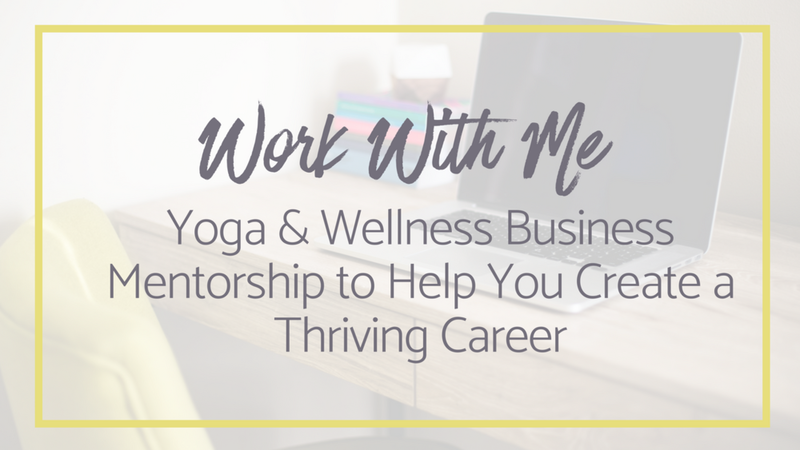 Yoga has been a big part of her life, particularly prenatal yoga and the experience of cultivating the social media presence for a yoga studio for nearly 4 years. Melanie has attended multiple yoga retreats in the Southern California area but hopes to expand her travel horizons in the future. Savasana on a remote beach in Bali, perhaps? If you need need some help strategizing and planning a social media strategy to complement your overall branding and marketing efforts you can contact Melanie today for a complimentary consultation here.